Marwan Bin Dalmook, SVP ICT Solutions & Smart City Operations from Du spoke to the 5G MENA team ahead of his session at the event. Marwan talks about his innovative projects and shares his expertise on how blockchain, 5G & IoT will enable smarter cities. Can you tell us about your role at Du and your work on 5G? I am responsible for the ICT Solutions & Smart City Operations at Du. We develop ICT solutions, which can also be customized for bespoke customer requirements, providing end to end delivery and operational services. 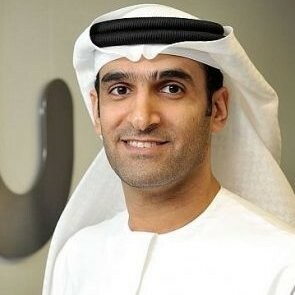 As the leadership of the UAE is always at the forefront of technological advancements, we also at Du are positioned extremely well as a leader in the adoption of 5G and a host of other emerging technologies such as Blockchain, Artificial Intelligence (AI), Smart Cities and IoT. Du has been playing a pivotal role in the digital transformation space; delivering managed service-centric ICT solutions to Government entities and Large Enterprises. Du is committed to achieving excellence in improving the lives of the people of the UAE, and henceforth, 5G will be the catalyst of digital transformation with its ultra-high-speed wireless broadband services, with which, UAE and Du’s strategic initiatives are facilitated. We, in Du ICT division, are committed to delivering ambitious plans to expand our ICT offerings and bundle it with 5G use cases in the domains of IoT, Smart Cities, and M2M to name a few. What should we expect to see next from Du’s 5G enabled smart city projects? We firmly believe that IoT and related use cases will be the principal driver for 5G across the global community of service providers. Smart City use cases, such as IoT use cases, Augmented Reality (AR), and Virtual Reality (VR), smart metering, smart lighting, and smart districts are a few examples of where 5G will play a pivotal role as a key enabler in the rollout of such services. Additionally, with 5G facilitating big data transfer between machines (M2M), Cloud Services & IoT, with folds of Gigabits per second, the requirements of real-time data-driven smart cities will be met. Du are pioneers in smart city technology, how are you monetising your innovative solutions? The core of Smart Cities resides in the power of data and what can come out of it – with a state-of-the-art cloud environment, and with a nation-wide connectivity backbone, we are able to ingest a multitude of data from different data sources, be it IoT sensors, metadata from either enterprise or consumers for further analytics. With the adoption of fast-transforming technologies such as Cloud computing, Big Data & Analytics, IoT, AI, and connectivity backbone, we are at the forefront of innovative solutions. Examples include Data Analytics as a Service, Dashboard as a Service, Cloud Services, Blockchain, IoT Use Cases, M2M, and beyond such as Machine Learning and AI. Which industry verticals do you expect to see the most demand from for smart city technologies in the next three years? Each industry vertical will have its own unique set of use cases. Data-driven use cases are endless, and therefore, the disruption of new technologies and advanced connectivity will have an impact merely on all industries, such as Transport, Health, Smart City, Utilities, Retail, Education, Enterprise and Government to name a few. At 5G MENA this 7-9 April in Dubai, you will be taking part in a panel discussion about applying blockchain, 5G & IoT to enable smart cities. How do you see these three technological developments working together now and in the future? With the emergence of 5G, for example, IoT technologies & M2M communication complemented with data analytics & cloud computing will radically alter the landscape of all businesses and henceforth making cities smarter. 5G is a critical enabler to the adoption of new and emerging technologies. Cloud computing and IoT streamline data collection, data science and analytics; coupled with 5G, and data transfer speed will no longer be a hurdle. Making cities smarter is a never-ending journey. We have to look at what makes our cities smart; it’s all about data-driven use cases and IoT. Emerging technologies such as Blockchain will add a digital, decentralized and distributed ledger that keeps a record of all transactions across peer to peer networks securely, that is tamper proof. Blockchain can be used to make our cities smarter; applications are numerous, by creating ecosystems of solutions covering multiple use cases across multiple sectors. To hear more from Marwan, secure a place at 5G MENA: the largest event in the MENA region to focus on advancing and commercialising 5G networks. Apply for your free operator pass here and join us on the 7-9 April in Dubai.